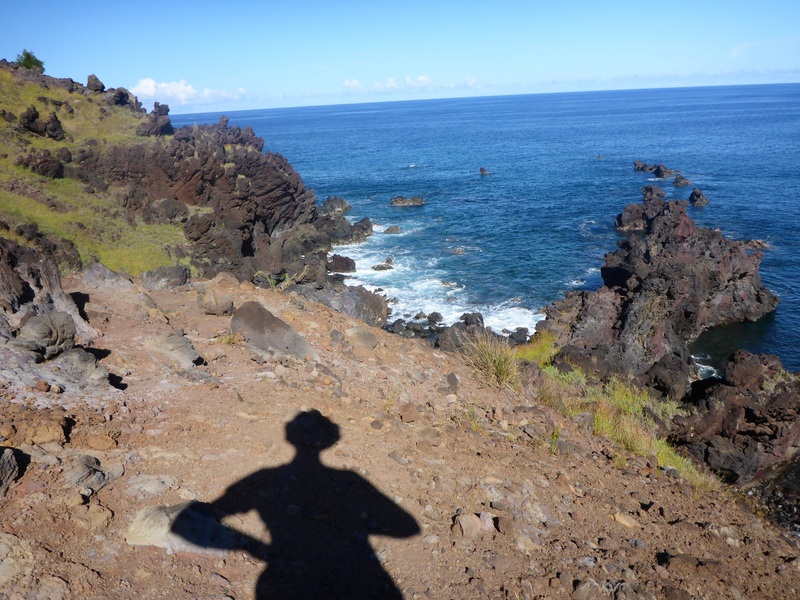 Day 2 – Leaving Anthony behind at the cabin, I go for a lovely 3 hour walk along the north western coast, up to the start of the Orongo trail which I decide not to take today as I do not have enough water on me for another 2 hour walk. 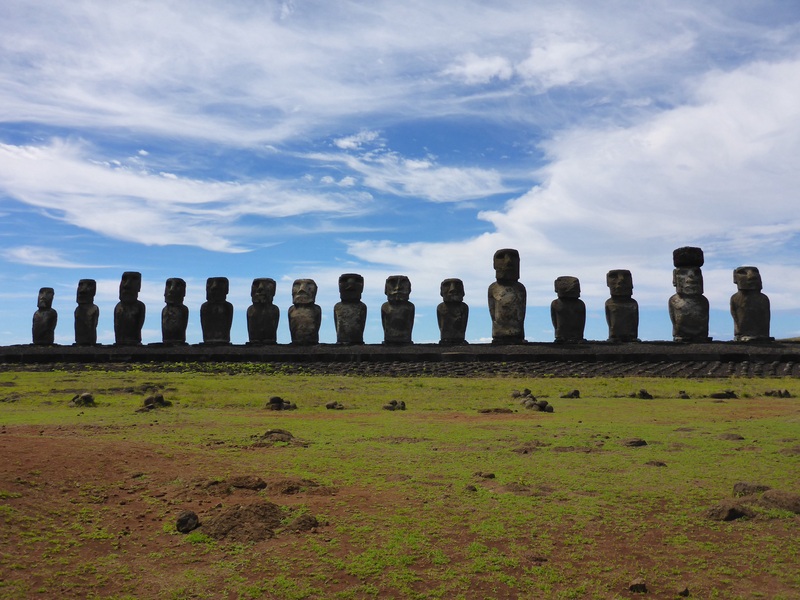 Although it is the peak tourist season, there are very few people. 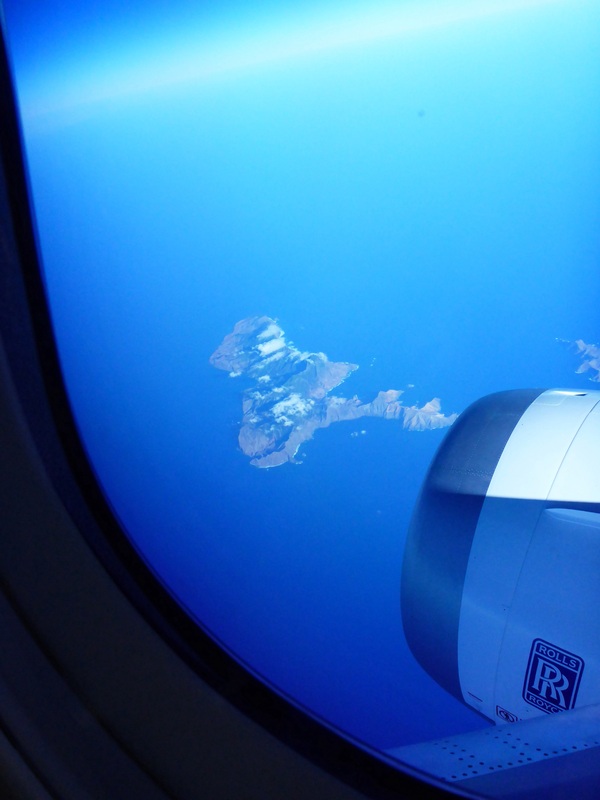 With one flight a day, and tourists spending on average 3 days, there are about 600 tourists at any one time and because there are so many sights across the island, it never feels overcrowded with tourists. I love the luxury of solitude. 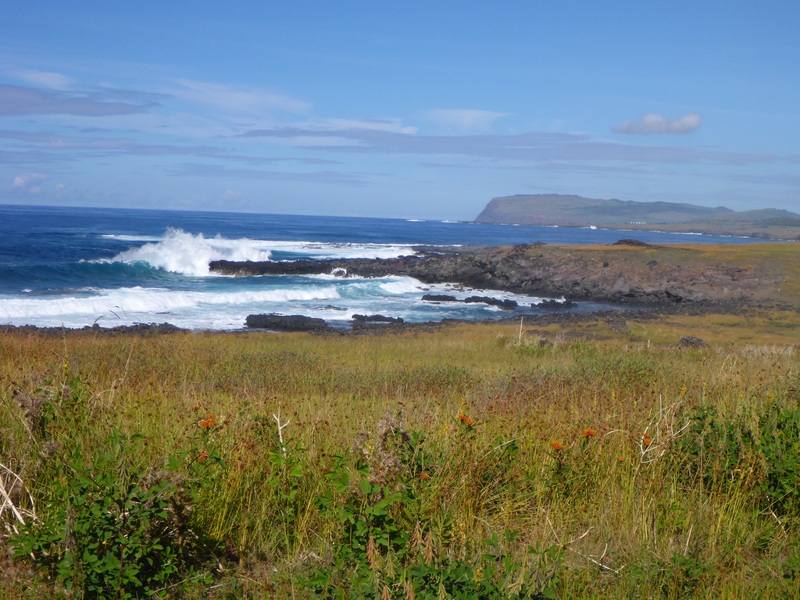 Along the narrow walking trail, I spend some time just sitting, contemplating and enjoying the strange feeling at the thought of being so far from any other landmass. 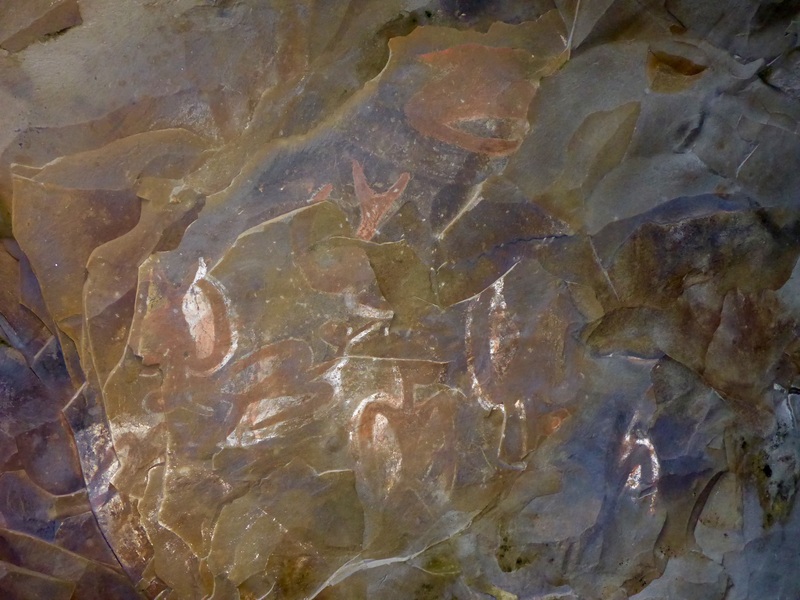 I visit a cave with some interesting petroglyphs. 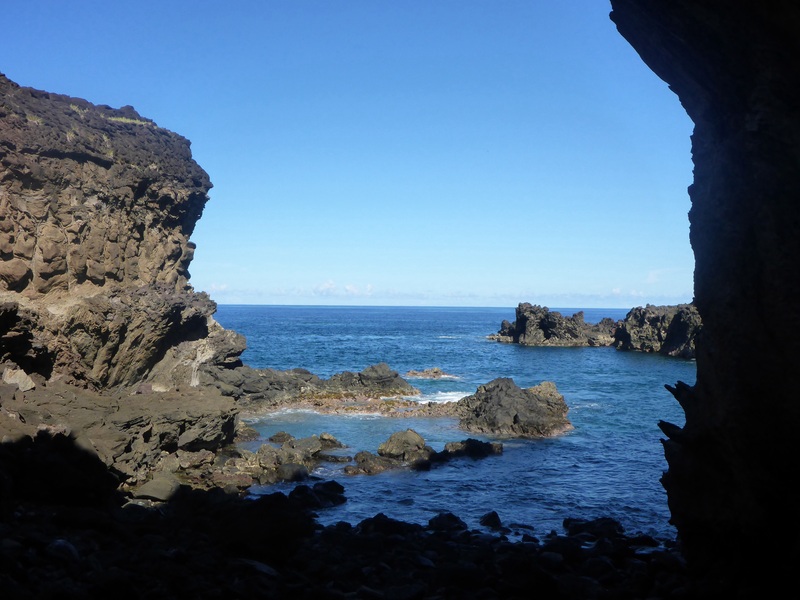 As I leave, a small group of tourists arrive to visit the cave – Mary is there! 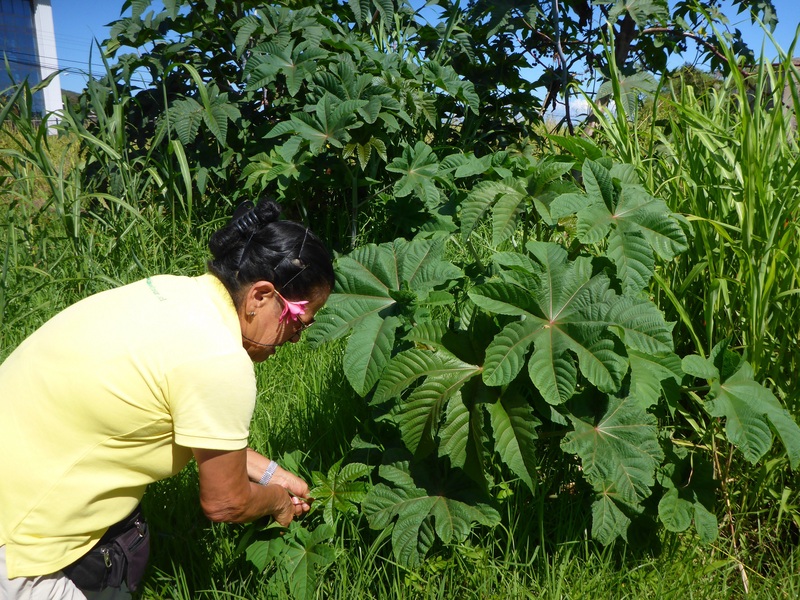 I walk home through town, have an empenada for lunch, stop and chat with the locals in various shops – I love the friendliness and warmth if the Polynesian people – and bump into Mary again in a shop!! During siesta time, I spend the next 3 hours annotating the next lot of photos of our little tour of Patagonia. 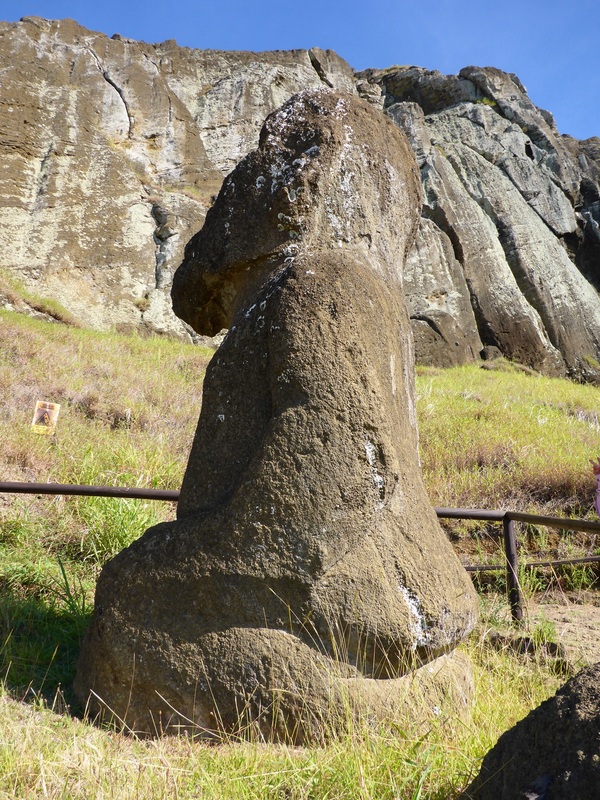 Around 5pm, Anthony comes out for his first walk and first upclose look at some moais. 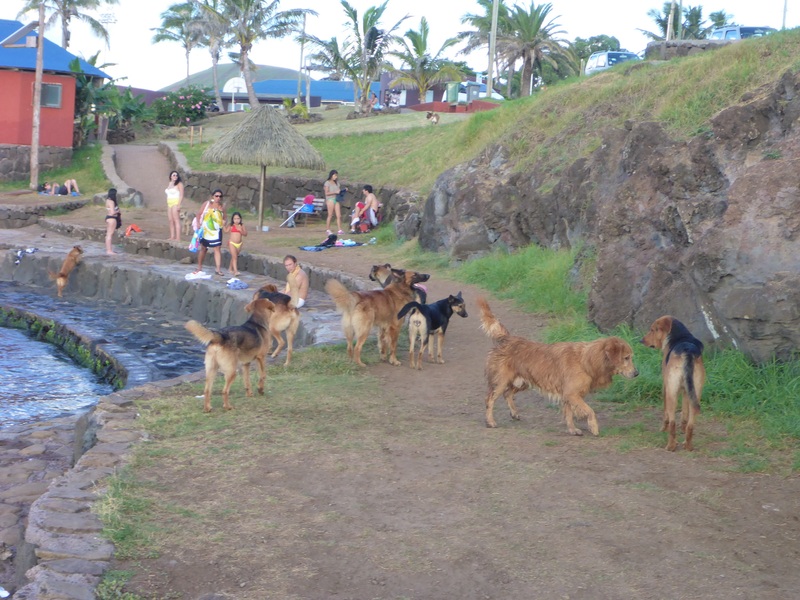 We walk to one of the local ponds, watching locals enjoying their end of day soak and swim and dangle our legs. 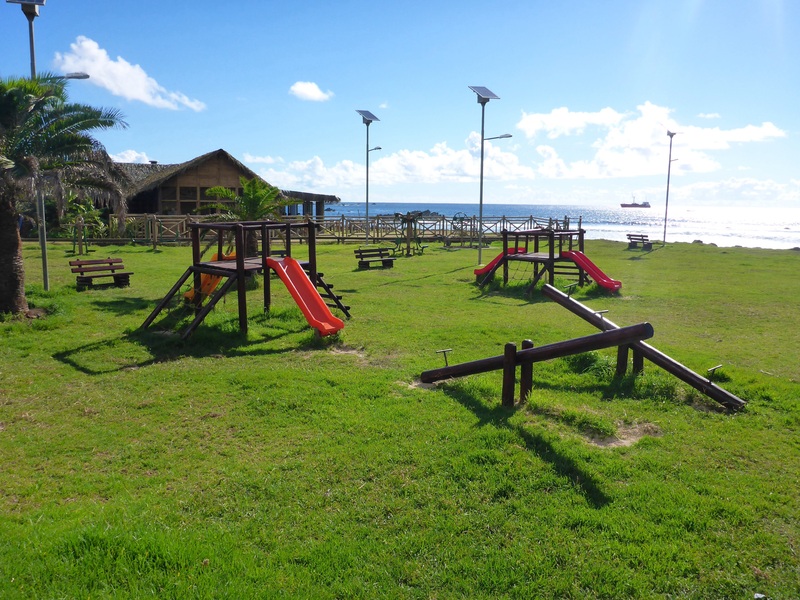 Then we walk to Taleta restaurant for a drink, see kids cycling with a surfboard under their arm. While we eat, we watch kids surfing. How wonderful to see kids enjoying a healthy, happy and active life without the constraints of modern society’s safety regulations or concerns. We go for dinner at a tiny restaurant as Taleta was fully booked. This empenada was delicious!! 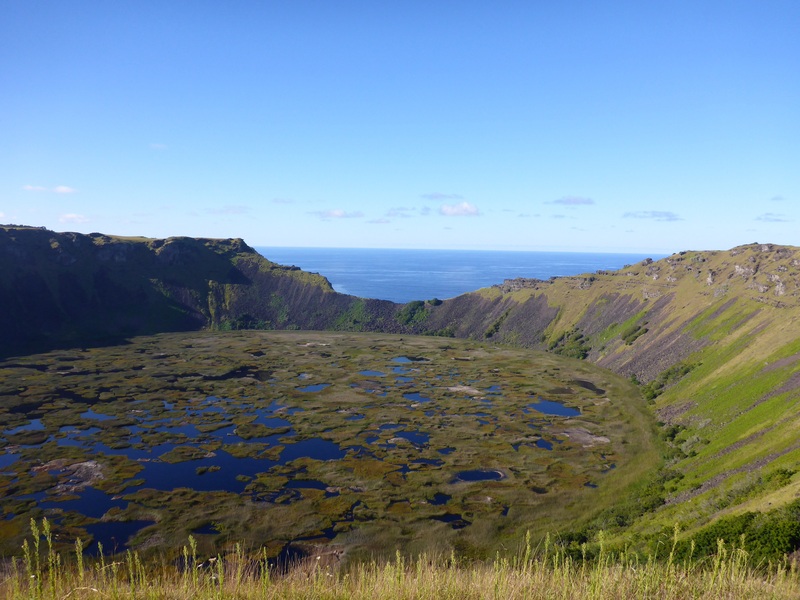 We take a tour in the morning and first go to an extinct volcano Rano Kau. 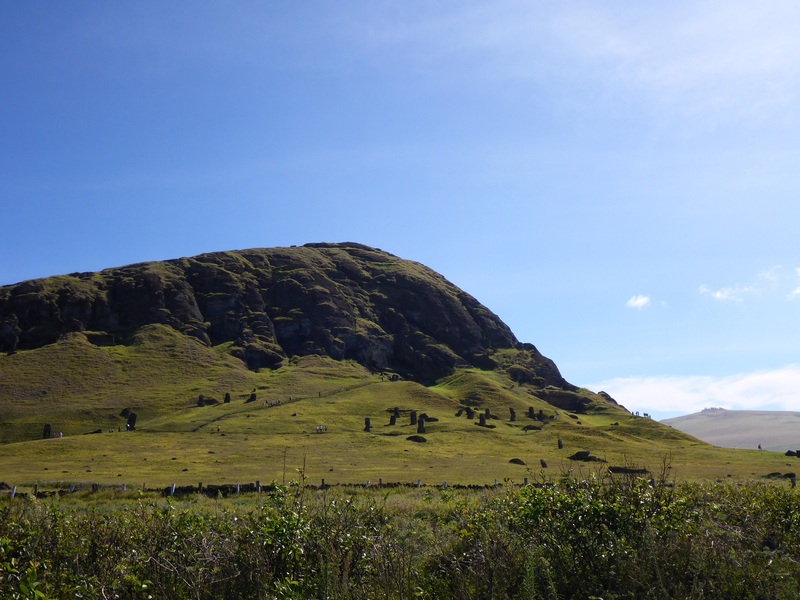 From there we walk to Orongo, the village where the Birdman competition took place. 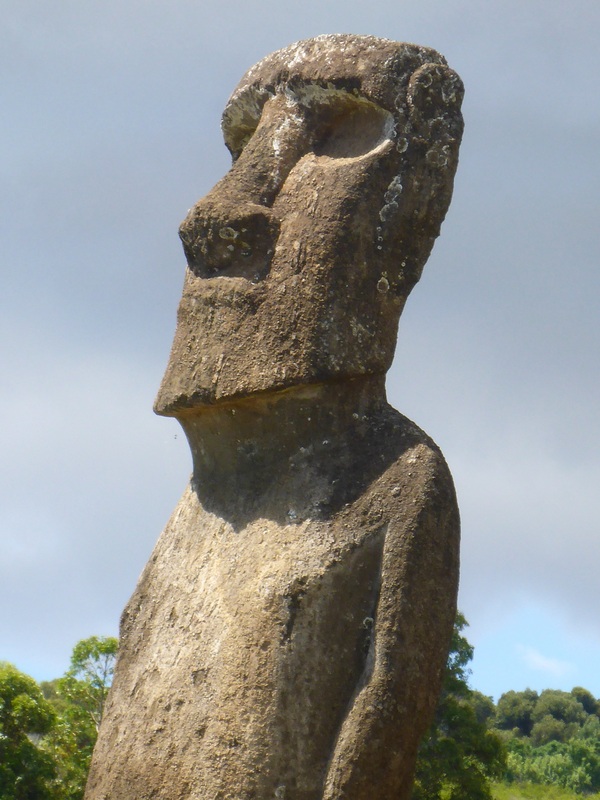 After the ecological disaster where all the trees had been cut down, the society no longer competed in erecting statues but fought more and more for scare resources. Then came the fierce Birdman competition: competitors (who were either chiefs of different tribes or their representative) had to climb down the jagged cliffs, swim to the island 2.5kms away, wait for the arrival of the sooty tern to lay their eggs and find a sooty tern egg, swim back with the egg and climb back up the cliffs and return the egg intact. 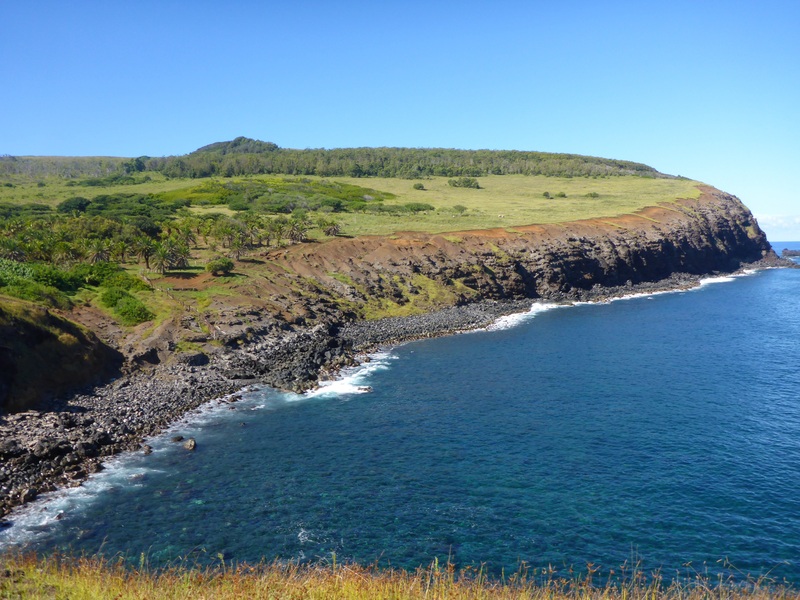 In the process, competitors killed each other, other fell off the cliffs to their death or simply dropped their egg as they climbed back up the jagged cliffs. 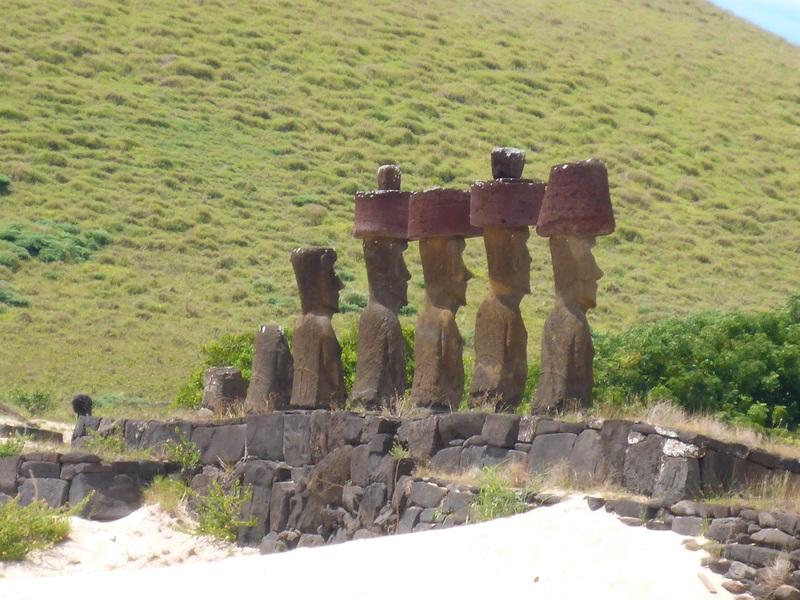 The tribe of the winner became the leaders for one year, until the following year’s competition and the tribe’s chief became the headman of the island. 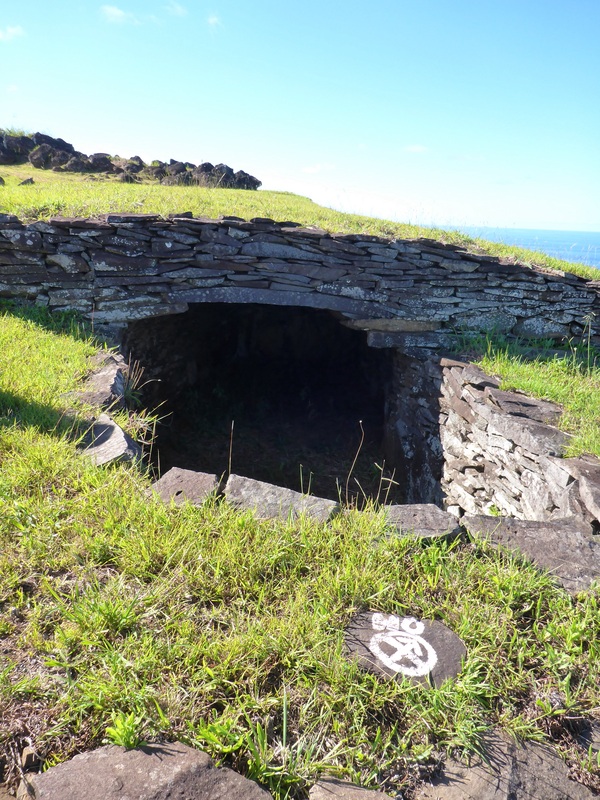 Then we went to ahu Vinapu, consisting of 2 ahus, each with extraordinary stonemasonry, similar to that found at Machu Picchu. 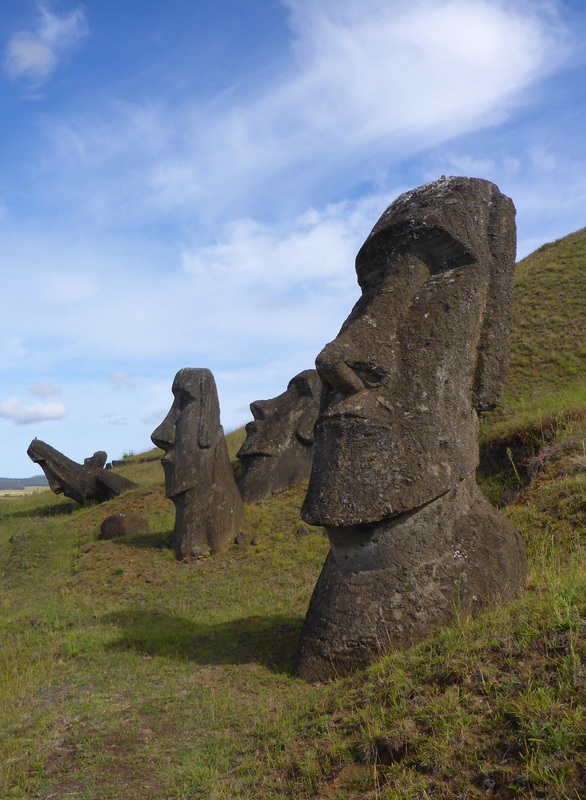 There is debate as to whether there had been contact with Peru at the time. 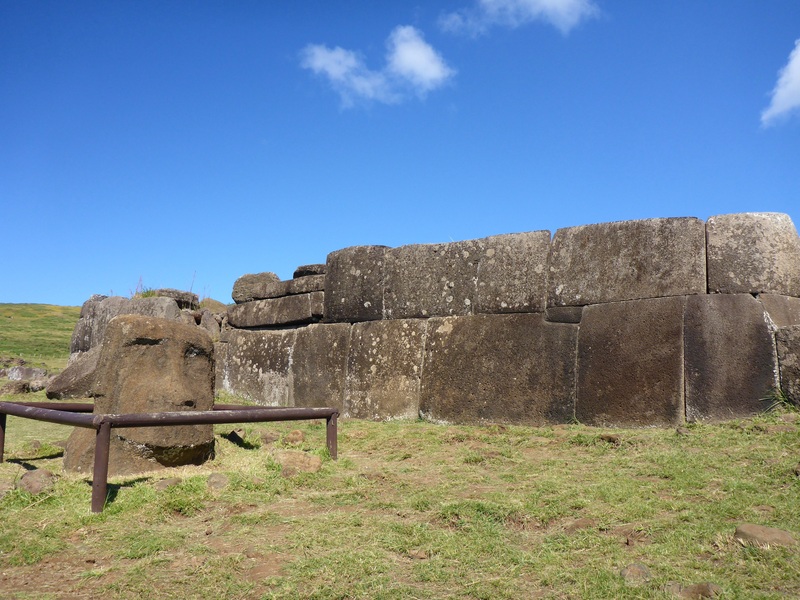 Vinapu was constructed before 1440 and similar stonework in Peru after 1440. 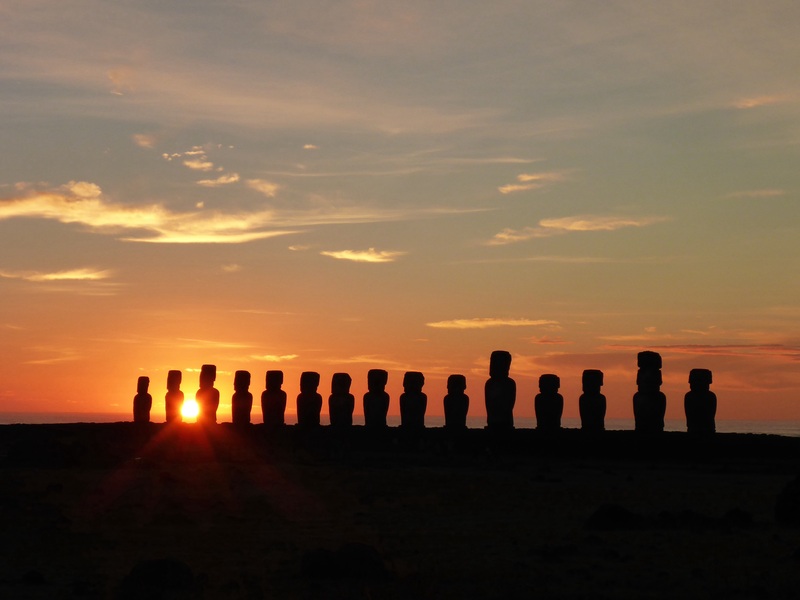 Vinapu stone walls face towards sunrise at winter solstice. 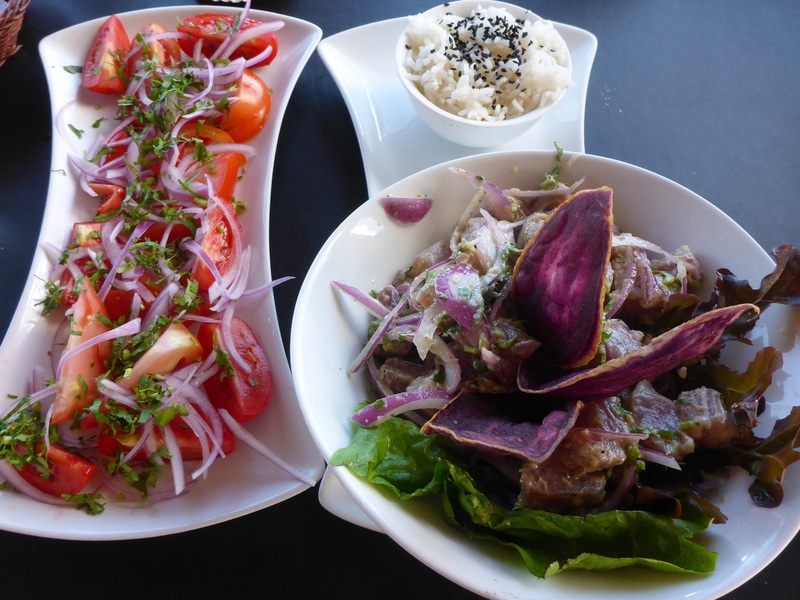 After a delicious lunch of tuna ceviche (raw tuna) at Taleta restaurant, I rejoin the tour group alone as Anthony probably walked too much this morning. 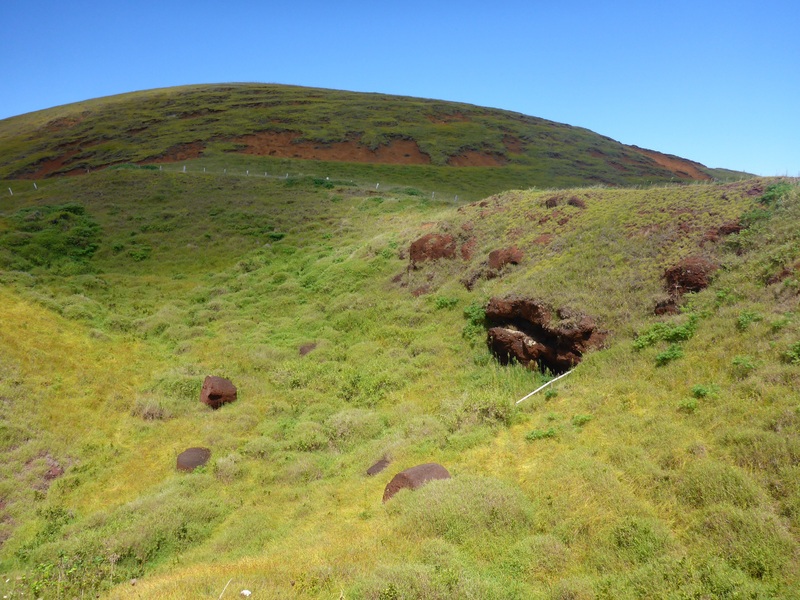 First stop is Puna Pau – a quarry in a small crater which was the only source of red scoria from which the Rapa Nui people carved pukaos out of its red volcanic rock. 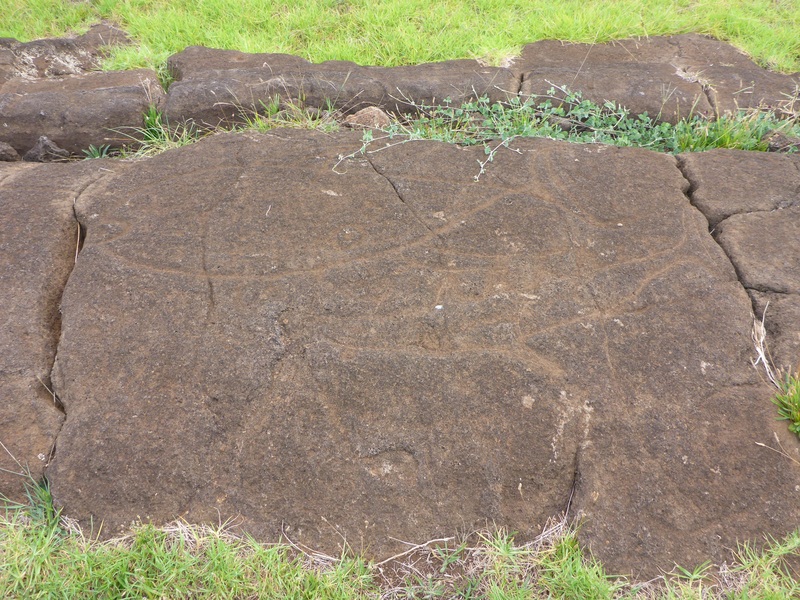 It was also used for a few moais such as Tukuturi and some rock art carvings. 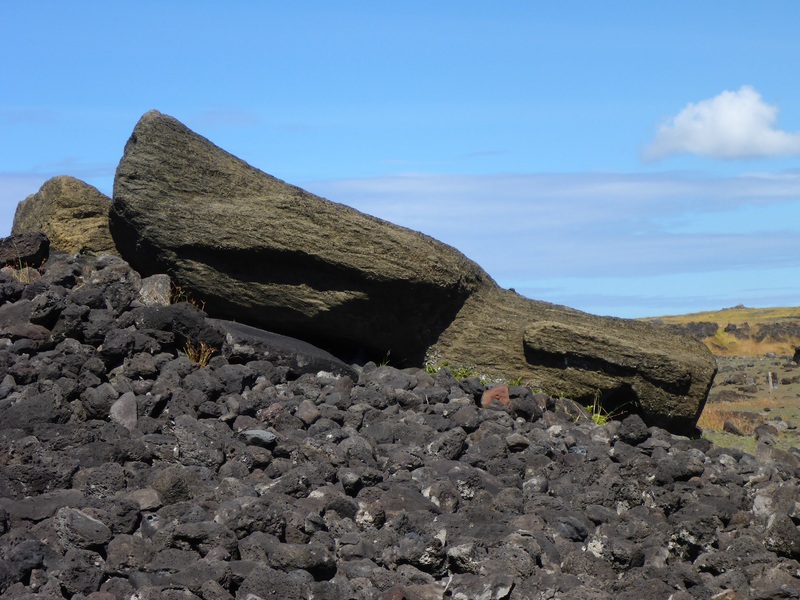 Some pukaos were as large as 2.5 metres in diametre. 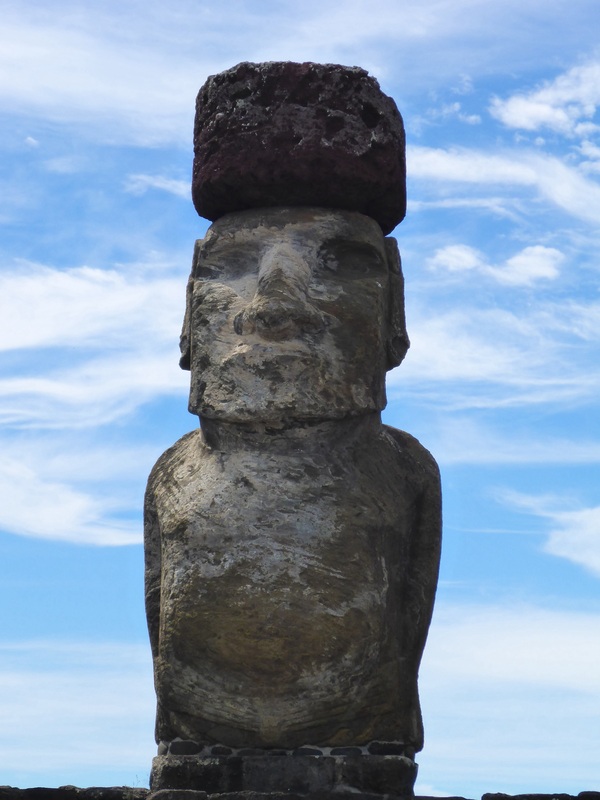 Pukaos are the ‘hats’ placed on top of moais, and may have represented dressed hair or headdresses of red feathers worn by chiefs throughout Polynesia. 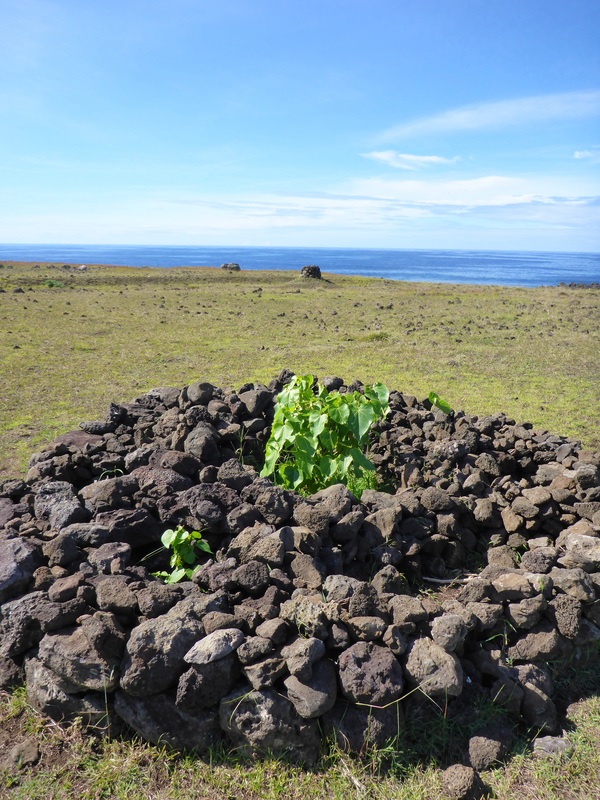 Ahu Akivi is very special as it is inland, faces the ocean and is oriented astronomically. 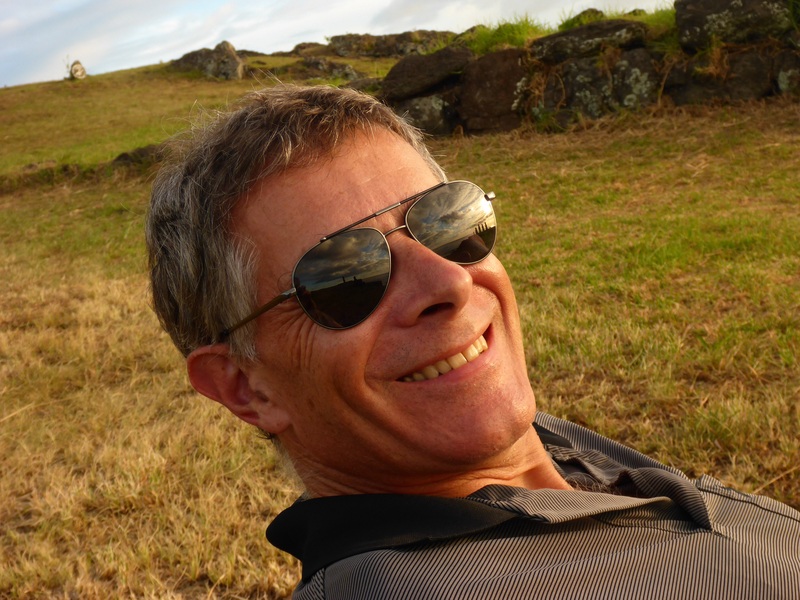 Day 4 – We decided to hire a car as yesterday’s afternoon was disappointing and China is busy with family issues. Anthony joins me for the day but can only walk slowly and part way only. His ankle seems to be hurting more today. 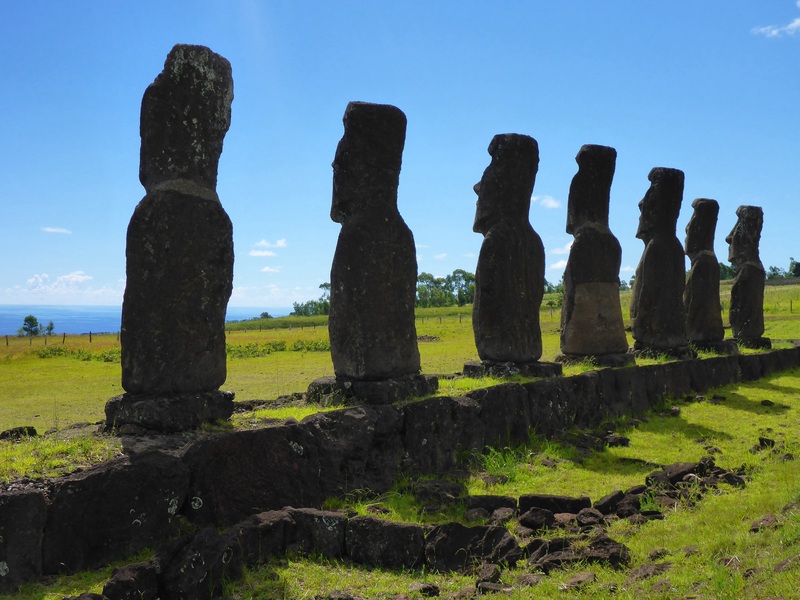 What an incredible feeling to see all those stunning moais, standing out of the mountain. 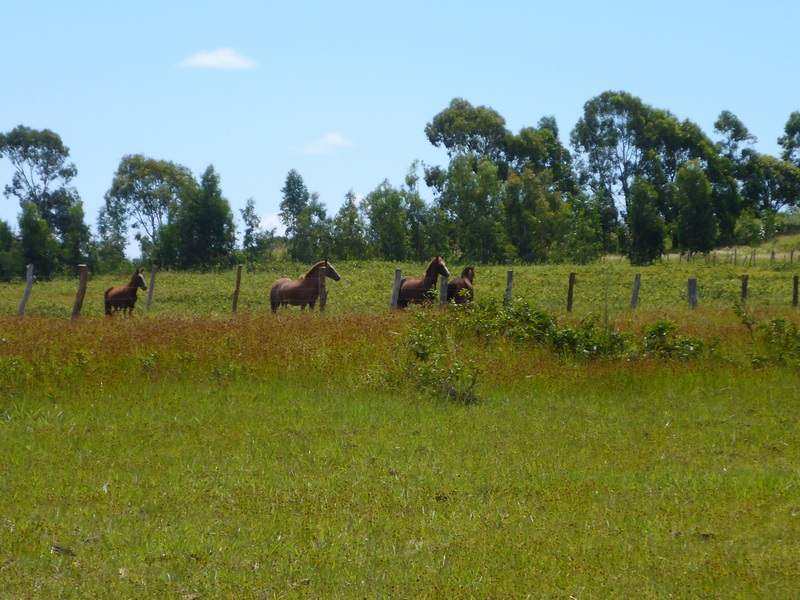 Then the best sight: Anthony made it about 500 metres into the park. Now we could enjoy this magical place together, sitting on a tiny bench. 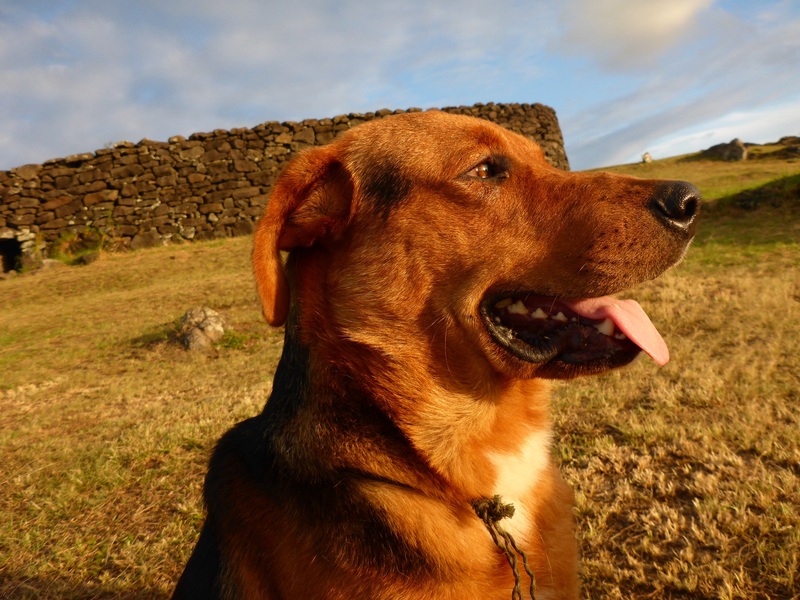 From Rano Raraku, we went to Tongariki, just a mile away, the largest ahu on Easter Island with 15 moiais, one of them with a pukao (topknot) on his head. 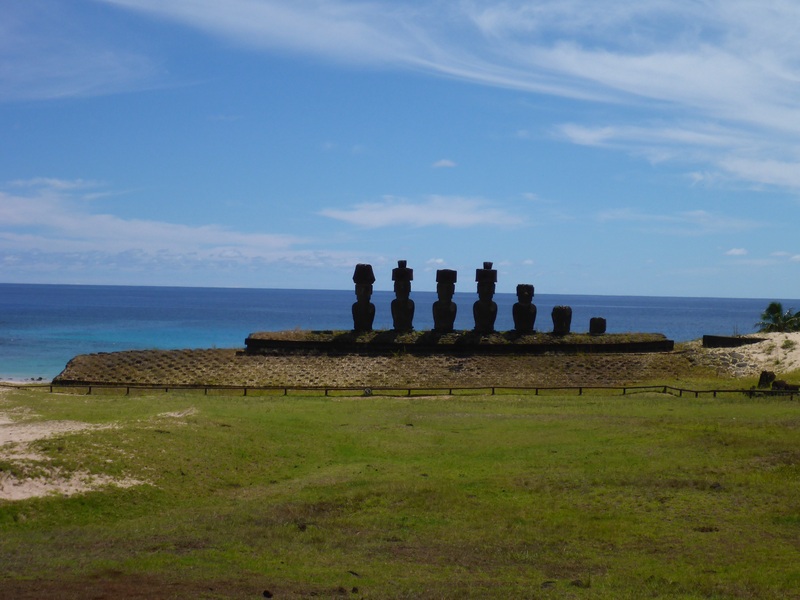 Like all others, this ahu was toppled during the island’s civil wars, but the moais were swept inland by a tsunami in 1960 and restored in the 90s. 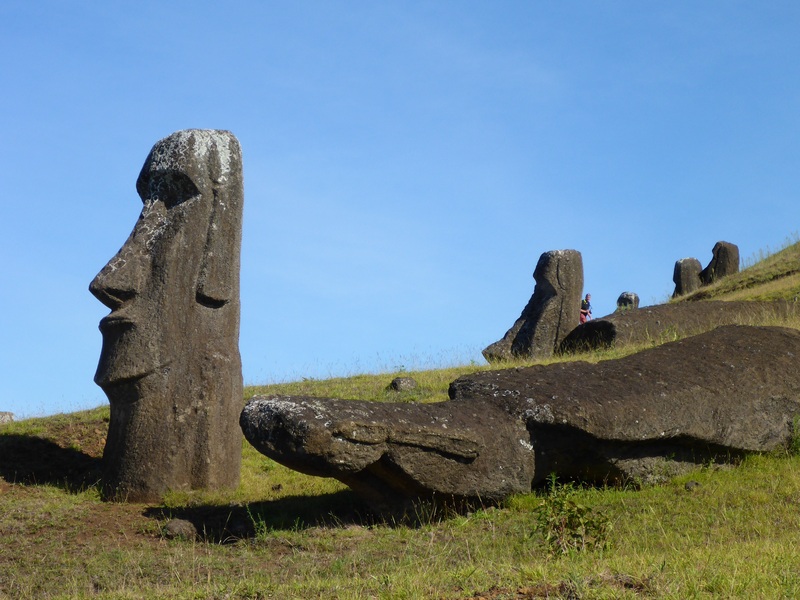 They found one moai of 86 tonnes, the heaviest ever erected on the island. 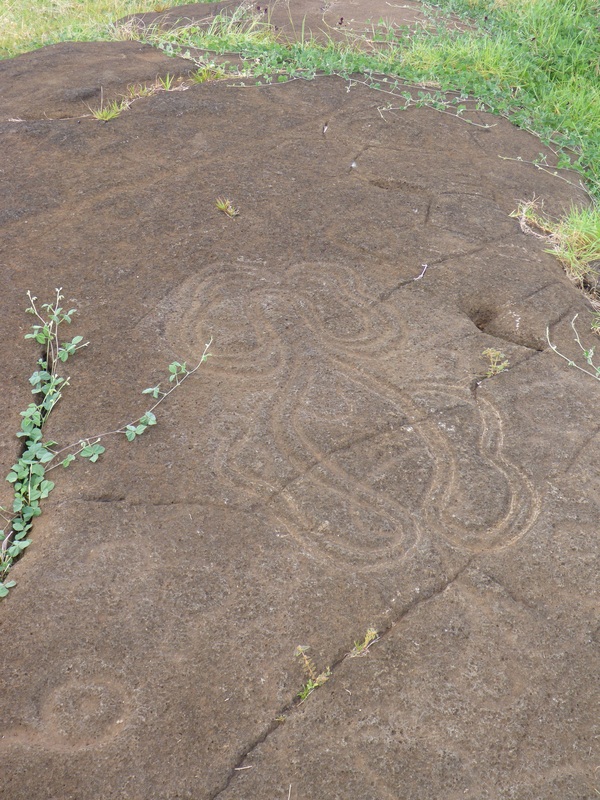 We stop at Papa Vaka, a site of fascinating petroglyphs, rock art showing how connected to the ocean the Rapa Nui people were, with fish hooks, tuna, shark, octopus or mythological sea creature. 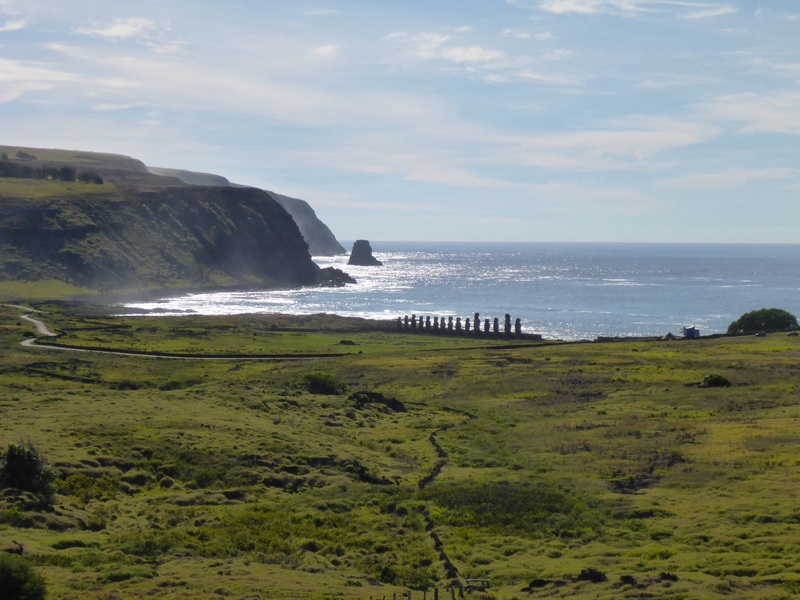 From here, we head to Anakena beach which, according to oral traditions, was the landing place of Hotu Matua who founded the first settlement on Rapa Nui. It is also where the new Birdman would end his celebrations. 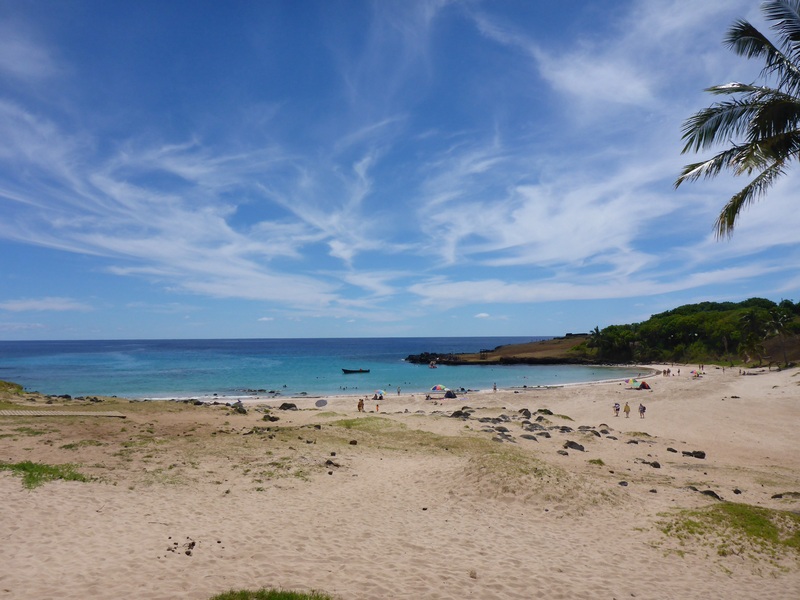 It is a beautiful white sandy beach – with the finest sand we have ever seen. 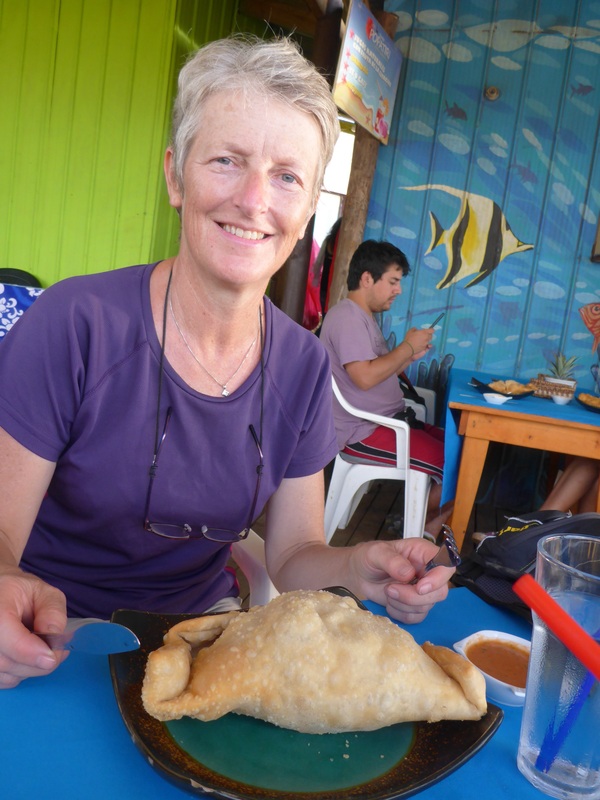 After a lovely swim, we have a couple of tuna empenadas as we watch the ocean and the few tourists coming over for a swim. 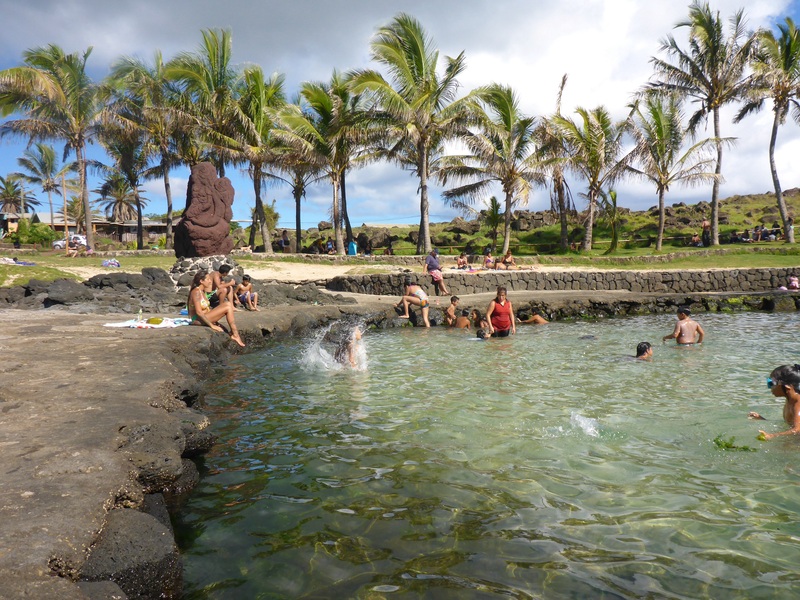 Afternoon rest then we head to Ahu Tahai for sunset before having another delicious fish dinner. 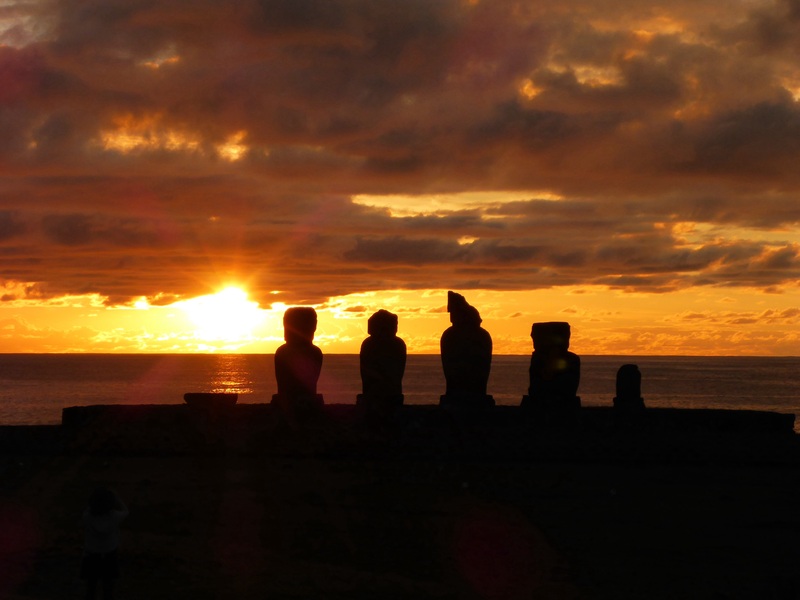 Day 5 – This morning, we are heading to Tongariki in our hire car for the sunrise. 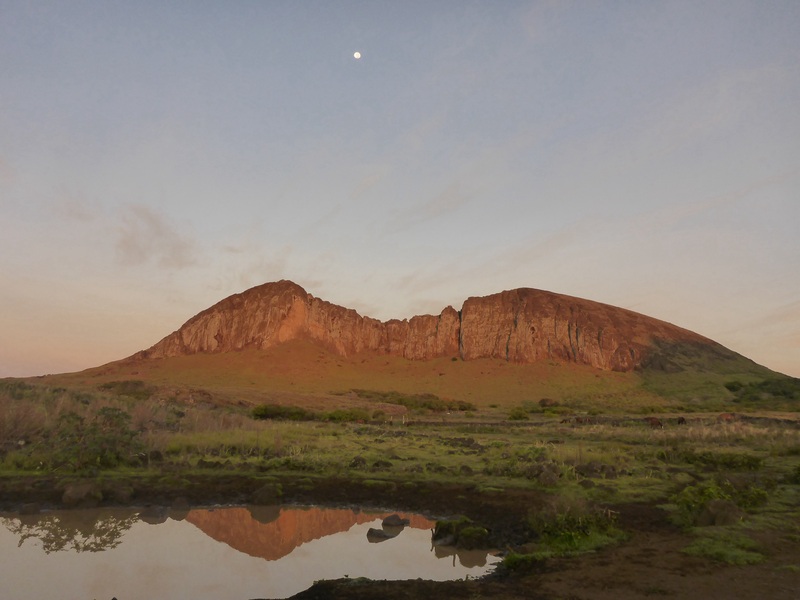 The way the colours of the sky behind ahu Tongariki and the volcano behind us change over two hours is magical. I return Anthony to the hostal to rest his leg and head out alone for the rest of the day. 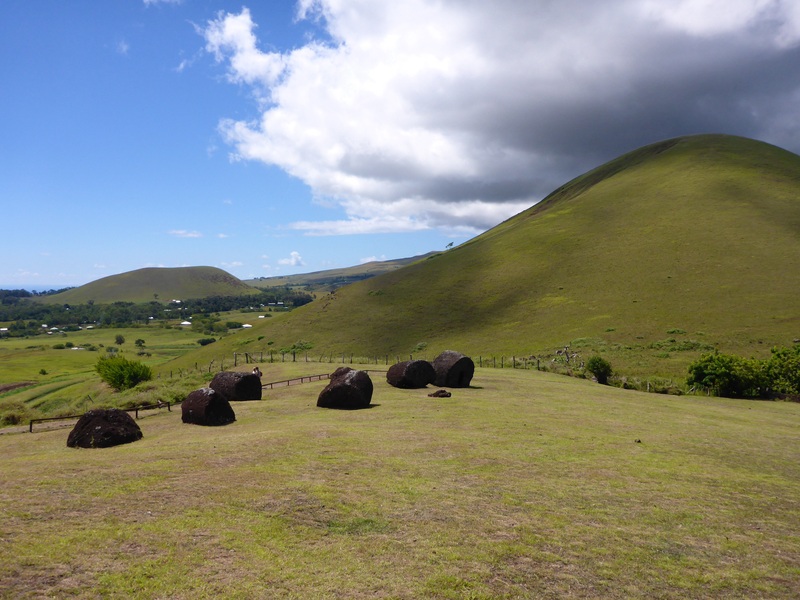 I return to Rano Raraku. 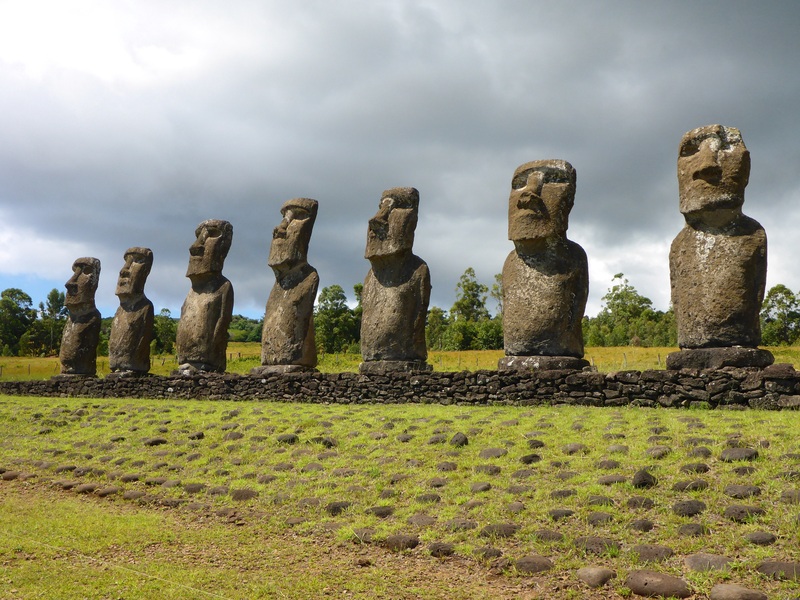 The lighting is different and I get to see Tukukuri moai which I missed yesterday. 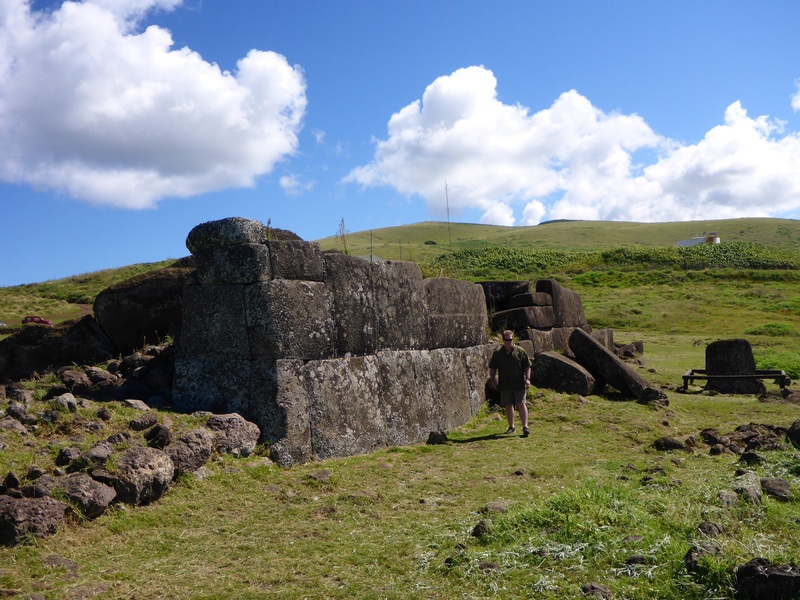 I stopped at ahu Akahanga, one of the largest monuments on the island’s south coast, once carrying 12 or more moais. 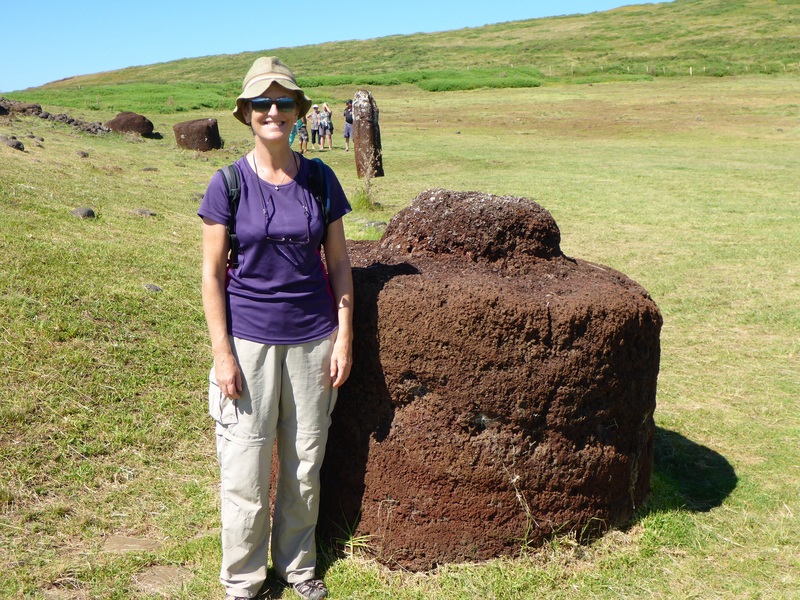 This is where I found the best preserved moai, protected from erosion because of how it fell, down from the platform. 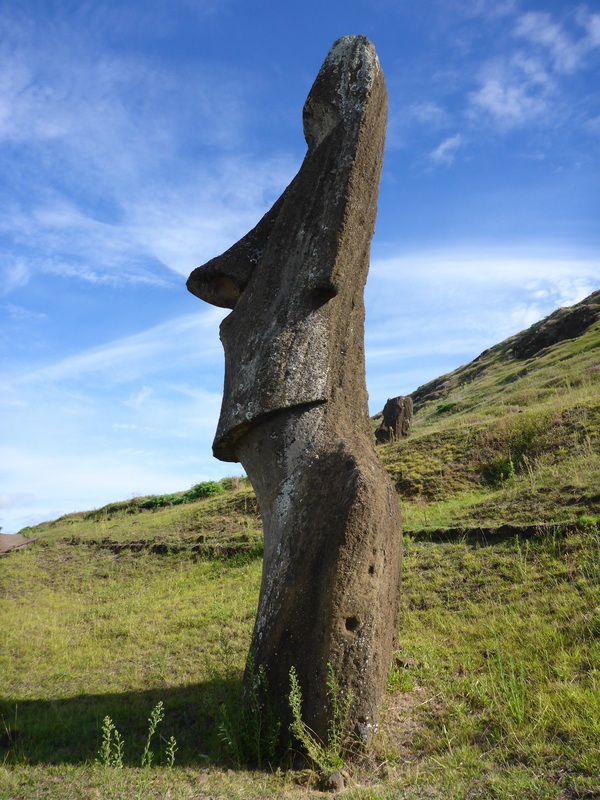 It is interesting to see how the top of the statue is perfectly shaped for the complementary shape of the pukao. 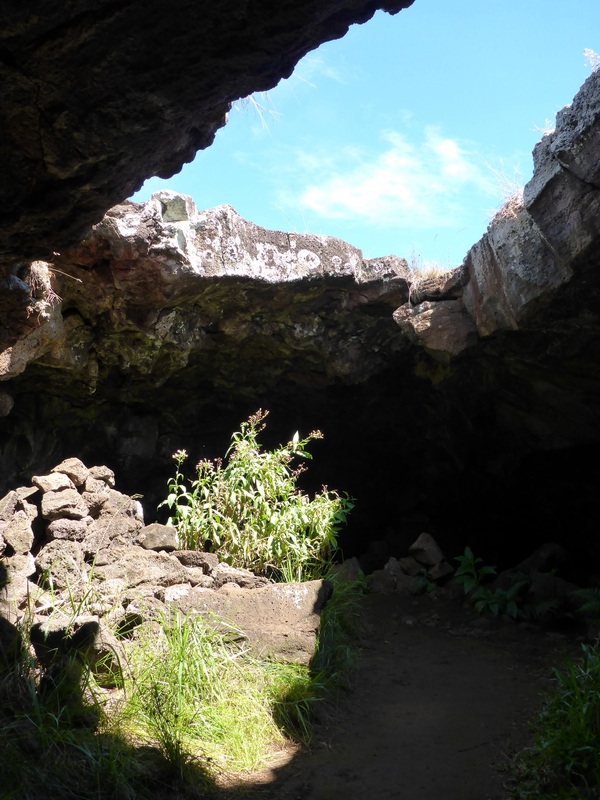 My next stop is Ana Te Pahu caves, like so many on the island, they were old lava tunnels where people lived. 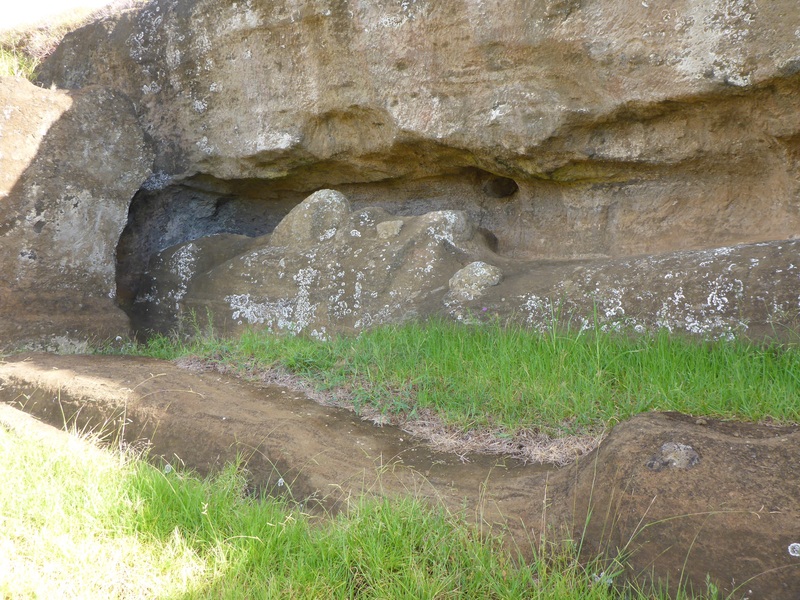 This cave is particularly long, several hundred feed and has several ‘windows’ or skylights. 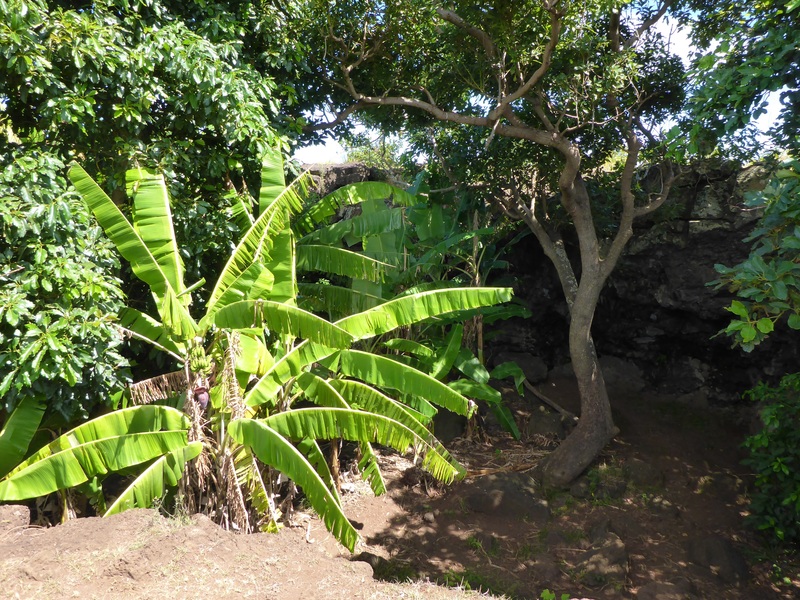 The caves were used as living quarters and also as gardens, the plants getting their nutrients out of the lava rocks surrounding them. I didn’t go through the part you have to crawl on your tummy as I was alone and hadn’t brought my headlamp, just my phone with torch. 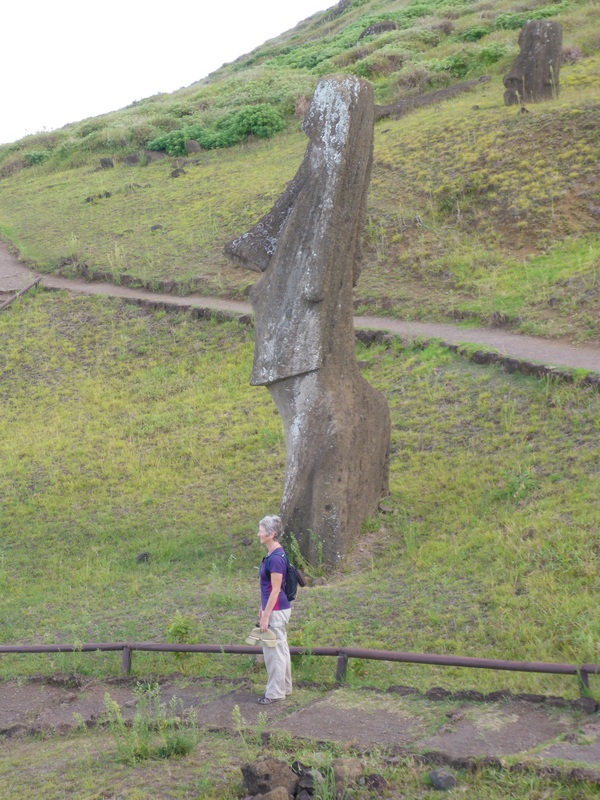 During our time on Easter Island, I have walked and walked, and stood in awe and I stopped and watched and gasped and sighed and cried. 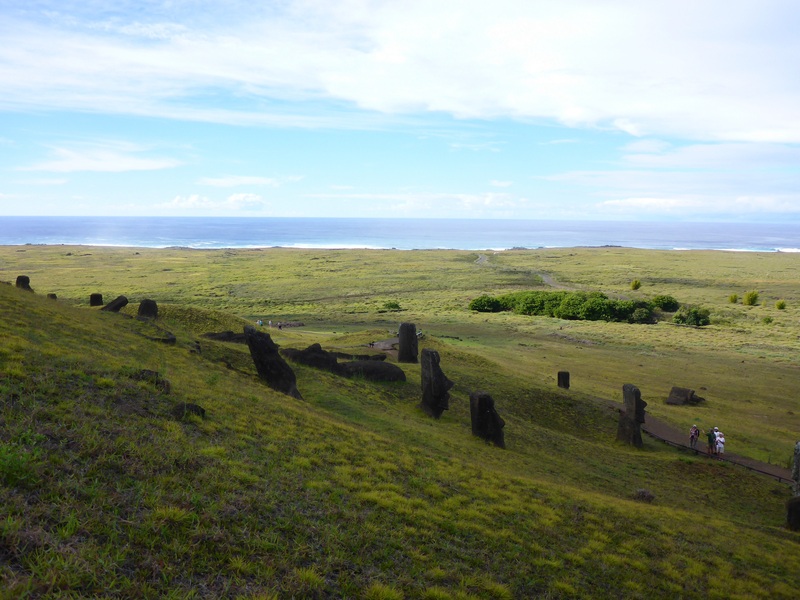 Rapa Nui was all I had ever dreamed of and more. Just a pity Anthony wasn’t able to enjoy it more. After a leisurely breakfast on our porch, I returned the hire car, casual check of fuel gauge and am told the car has been rereturned in perfect condition. Ahh, Hertz, please note!!! 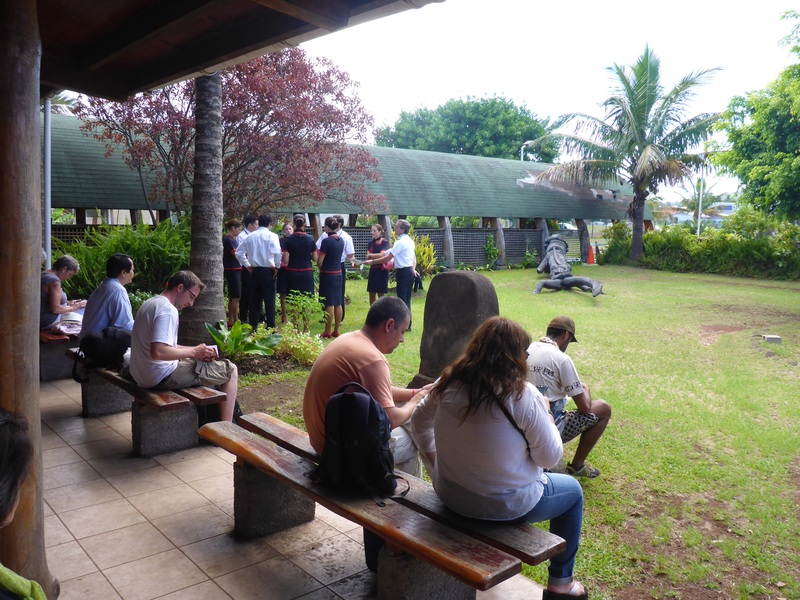 Check in at Mataveri airport is casual – no security check but a plant xray. We are returning in economy on a brand spanking new Boeing 787-9 series – another one for Anthony’s list of planes flown. 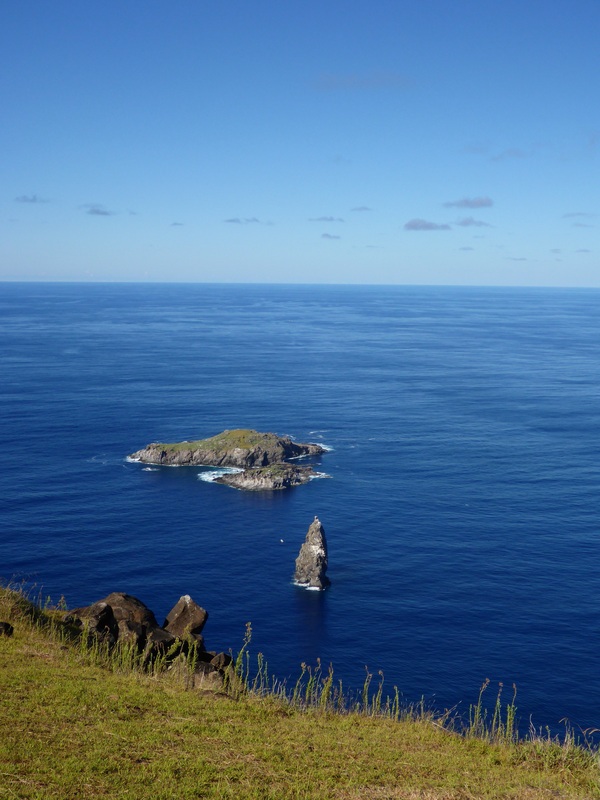 At one point in the flight, the captain suddenly does a ‘Gary Larson’ (attention ladies and gentlemen, this is your captain speaking…) tilt left and right for everyone to see Robinson Crusoe island. Fabulous views. Thank you captain!! 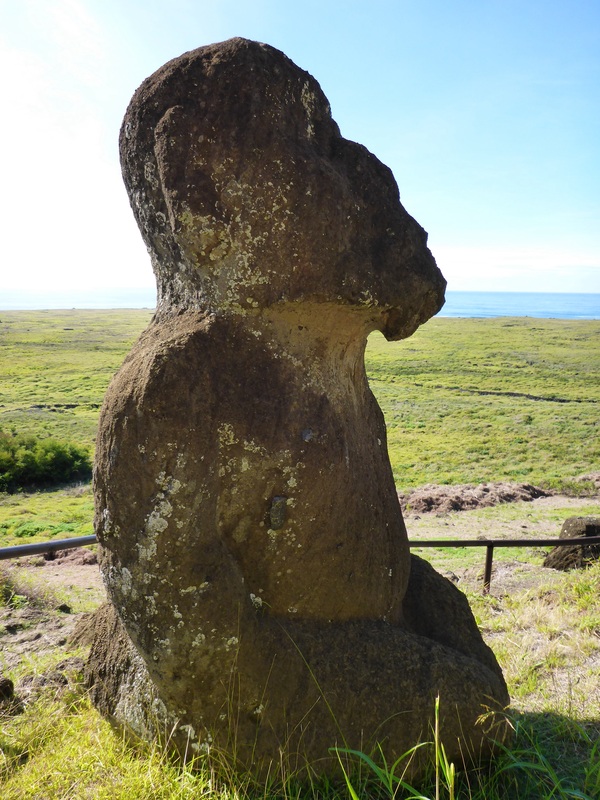 Thank you Rapa Nui – it was a dream come true to spend 5 days there – a trip I will never forget and makes me want to read much much more on Rapa Nui the people, the culture and the country. simply superb. 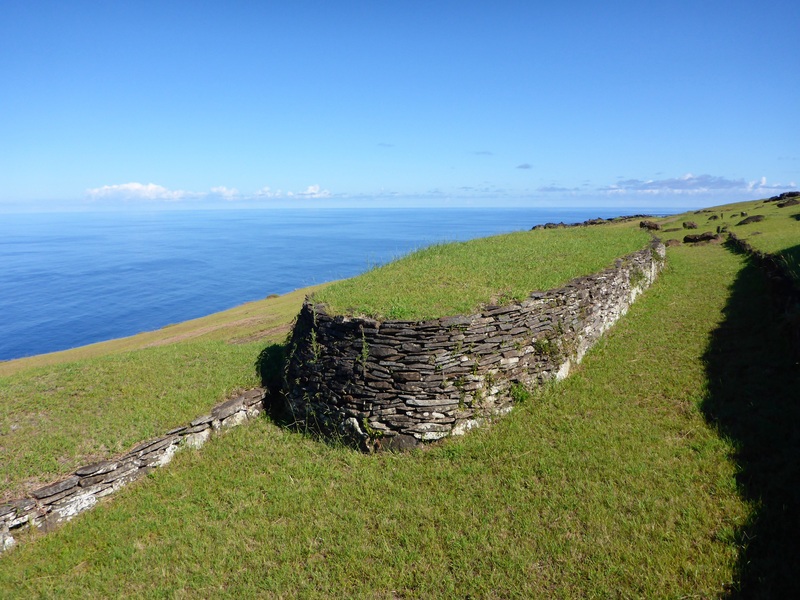 what a sad story for the islanders who ruined their ecosystem, on the one hand creative artists on the other hand lemmings heading over the ultimate cliff. sobering story for all of us. Oh dear , I had left a comment but obviously didn’t post it !!!! 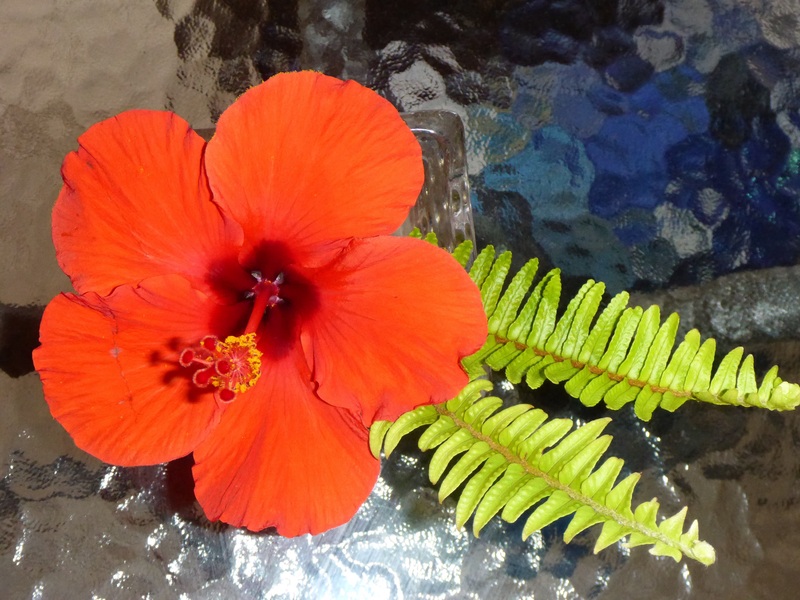 The photo of the hibiscus gave me a feeling of joy , I guess how you have felt exploring the Island and educating us . Loved the blog and all the interesting spots. !